What courses did you take? What did you do for your program? I took three courses while abroad. These courses were over grammar, conversation, and culture. Students on the trip for IU / IUPUI only receive credit for two of the courses, grammar and conversation. However, it was great to have a culture class in order to learn more about the Spanish culture. How did the study abroad program fit with your required coursework? It fit perfectly! I went there and I was able to take the grammar and conversation course which transferred as credits toward my minor here in the states. It was the best of both worlds because I got to knock out two classes during the summer and do it while Spain. I don’t think I could have asked for much more. What type of advice can you give for preparing to study abroad? Pack light, you will buy things there and you will to have room for those items. I would also recommend packing items such as shampoo and soap that you plan to leave there. That will also help clear up space for new things. Study abroad is a tremendous experience, but like anything it is not free. I recommend applying for any scholarships you can and getting a job to help with whatever expenses you may have! What was your first impression upon your arrival? Wow, this is a bit intimidating. I had traveled to a variety of places in my life beforehand, but never Spain. Not even Europe for that matter. The intimidation aspect is all part of it though, it did not ruin my trip it actually helped make it. I was able to step out of my comfort zone to see and experience new things. I learned a lot about myself! I think that is one thing that makes study abroad and a student’s experience what it is. What type of housing did you stay in? I had a homestay with a Spanish family. This is another aspect of your time abroad you should embrace as it truly makes the experience. Similar to first arriving in Spain, it was a bit intimidating but you learn to love it. Like many on the trip, I had a roommate too. You will become close with them and they are always there to share frustrations or issues with each other. I consider my roommate to be one of my best friends now. I think having that other person there helped a lot. I also had the opportunity to not only meet my host family but their children, grandchildren, and even some of their friends which I thought was really cool. I got to see different outlooks from all different ages. Not to mention, my host family was very friendly and always had me laughing. What type of additional traveling did you do? How did you go about it? I traveled to Madrid three days before the trip began and spent some time in Madrid. I planned this trip by myself, but I also traveled to Portugal while there. This trip was with the University and was very convenient. They provided transportation and lodging all included in one reasonable price. What was it like talking and interacting with the local population? It was a great experience. Of course at first I was shy, but as time carried on I became more and more comfortable with the locals. They gave me some of my best memories while in Salamanca. I highly recommend going out and trying to meet new people while there. 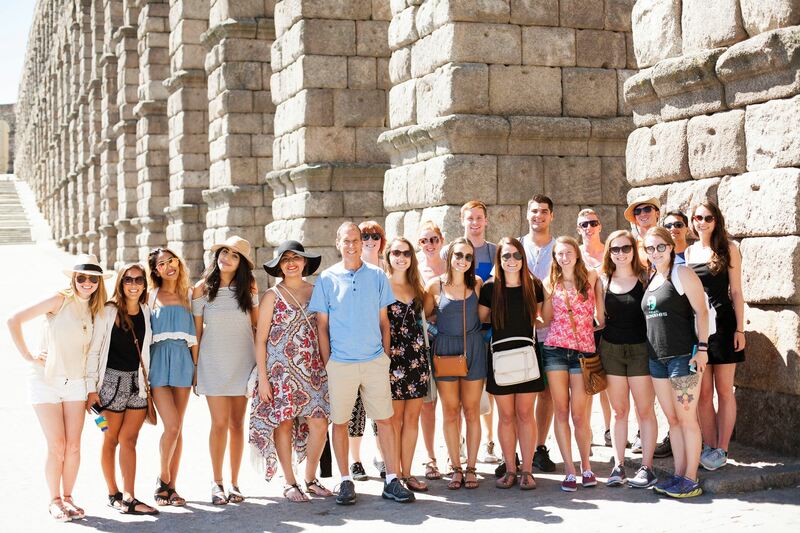 My study abroad program was everything I expected and more. It actually exceeded my expectations by a lot. There was a perfect mixture of school and free time. All the teachers were really nice and they knew you were not only there to study, but to explore and enjoy your time there. 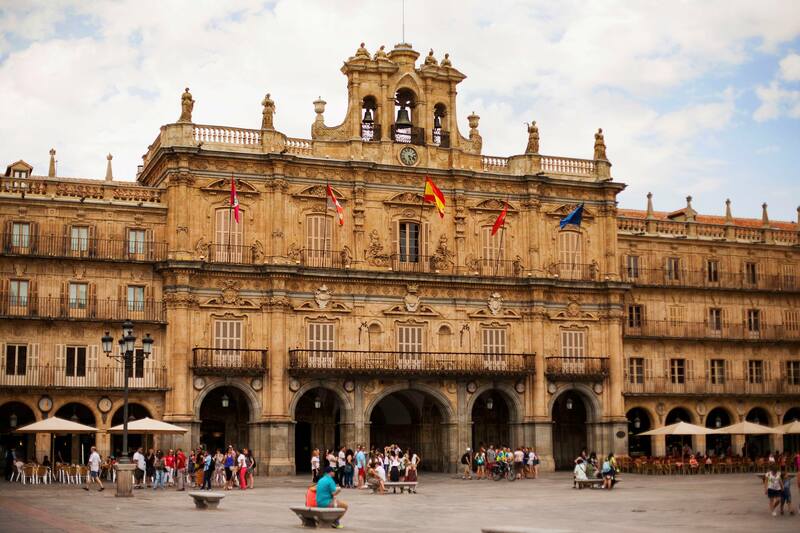 On top of that, pictures of Salamanca just do not do it justice. Did this program reaffirm your career goals? Did it change them? What skills did you learn on this trip that will help you? 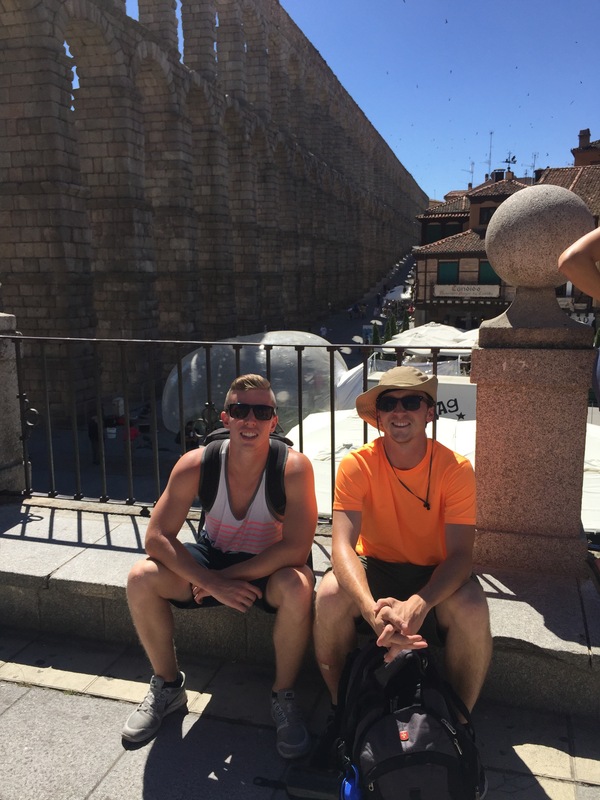 I believe the trip reaffirmed my interest in the Spanish language and it made me only want to work harder toward achieving proficiency. I think I learned that it is okay to step out of your comfort zone and do things that scare you. In the end, it made my experience what it was and I definitely improved as a Spanish speaker and listener. What advice would you give to students who want to study abroad? If I had to give any advice to a student wanting to study abroad I would tell them if they have the opportunity to study abroad, they should go for it. I cannot stress enough how great it is to step outside your comfort zone and experience new things. 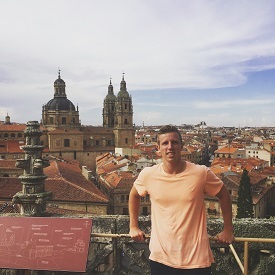 Practice Spanish with locals, embrace those confused conversations at dinner, and try to have word reference near by, it helps more than you know. I can't stress it enough either, but embrace every moment. It is not everyday you get to go and experience something like studying abroad. I always thought, what if I never get an opportunity like this again? It really made me appreciate the little things a lot more and value each and every second I had there. I think it is also important to broaden your network with both the locals and the other foreigners too! I met people from fifteen plus countries as well as a lot from the United States. You will build friendships and memories that will last a lifetime. It's very cliché to say, but study abroad really does change your life.